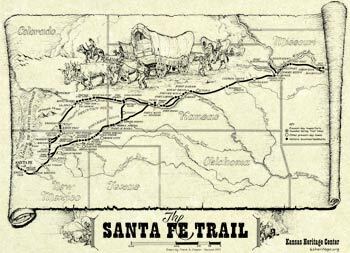 This map includes major branches of the Santa Fe Trail, points of interest, a new map key, and updated material. Frank Cooper’s artwork still makes it a classic. Plenty of detail to satisfy Santa Fe Trail buffs!